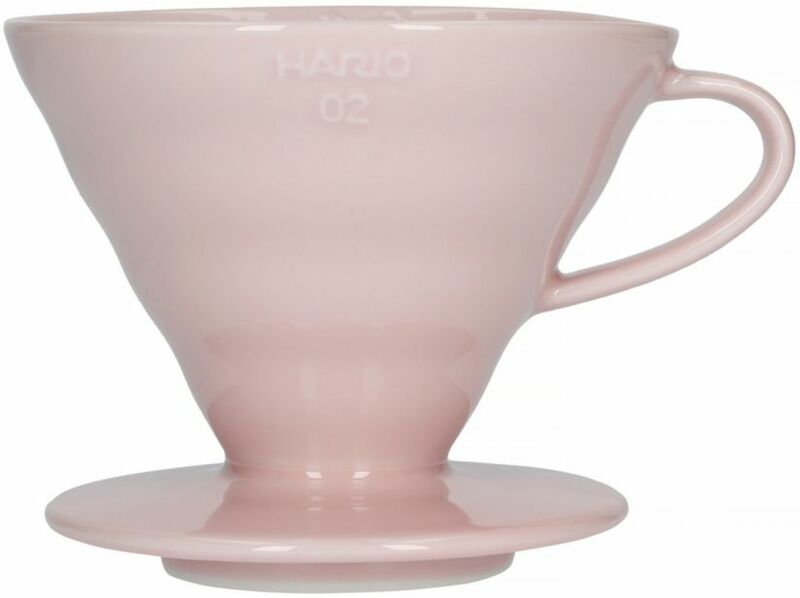 The Hario V60 dripper, also called cup dripper is one of the best coffee drippers out there. The Japanese company Hario has been manufacturing glassware since the early 20th century and the V60 dripper is one of their most popular brewing inventions. 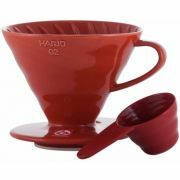 The bigger V60 02 size is preferred by cafes and baristas to brew 1 to 6 cups (depending on your cup size). 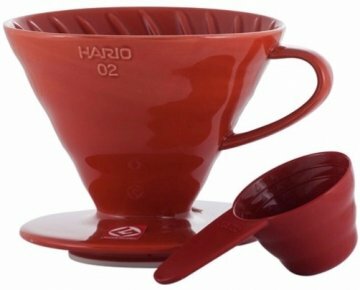 The Hario V60 drippers retain the heat very well and they produce more extraction than the flannel filter thanks to its innovative design. 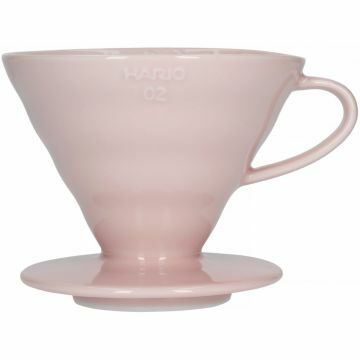 The V60 name comes from its design. 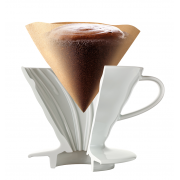 The cone is V shaped and at 60 degrees angle. 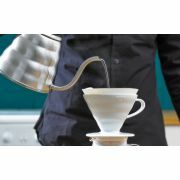 According to Hario research this is the optimal way to hand brew coffee. The V60 dripper has a single large hole, which allows you to determine the flavour of the ground coffee by adjusting the water flow. The Hario dripper has spiral ribs that maximize the expansion of the coffee by enabling air to escape while brewing. 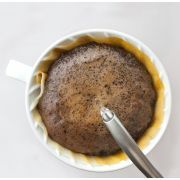 This high quality ceramic dripper is durable and comes with a measuring spoon included.